Peter Alegi is an associate professor of history at Michigan State University and the author of Laduma! Soccer, Politics, and Society in South Africa. 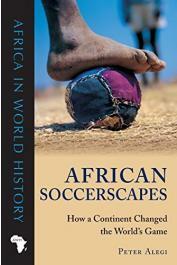 He is an editorial board member of the International Journal of African Historical Studies and book review editor of Soccer and Society.